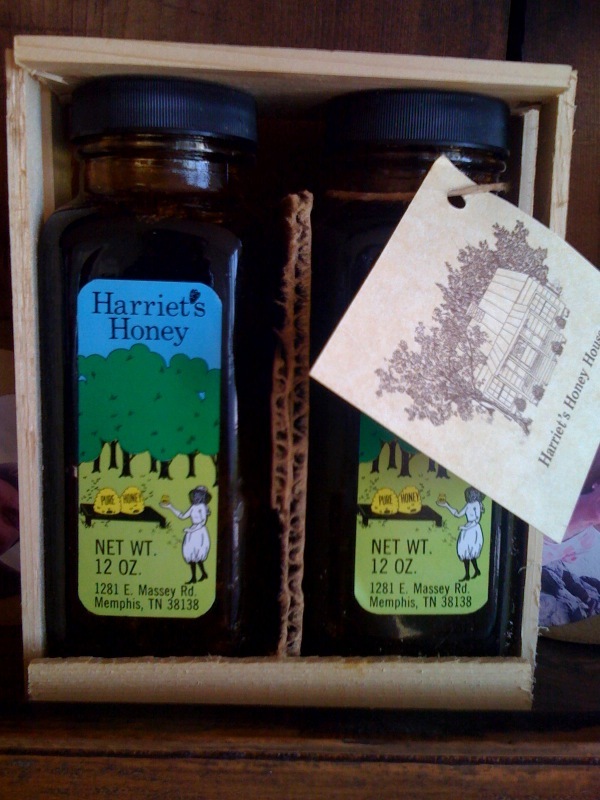 In September Mom and Dad visited an old friend named Charlie in New Hampshire, and from his basement Charlie retrieved a never-opened package of Harriet’s Honey, just as my mom had wrapped and shipped it to him some 30 years ago. You can see the bottles in this lovely Granny-inspired tableau. 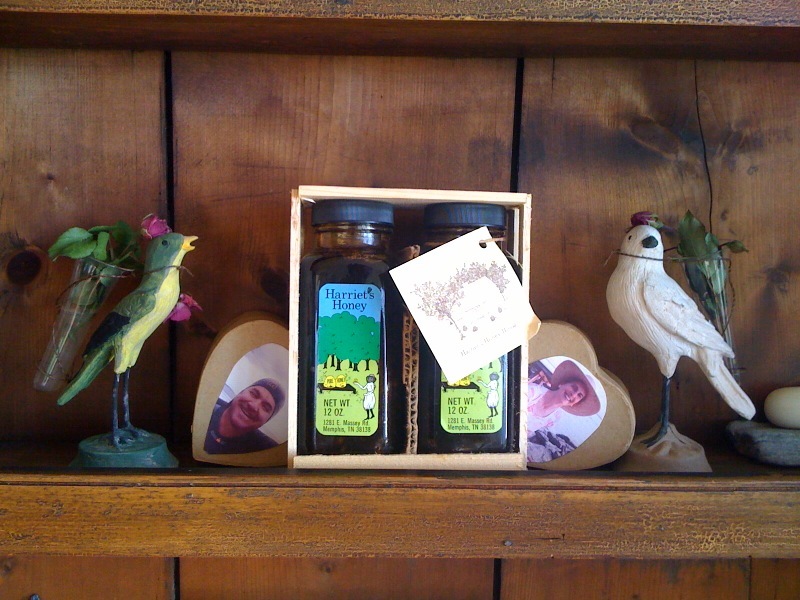 My bees made the light honey from the first blooms of spring — honey locust, wild roses and clover. The rich, dark honey comes from late summer and fall blooms– cotton, butterfly weed and goldenrod. In the drawing, you can see Harriet in her bee suit in front of skeps, or oldtime wicker beehives. 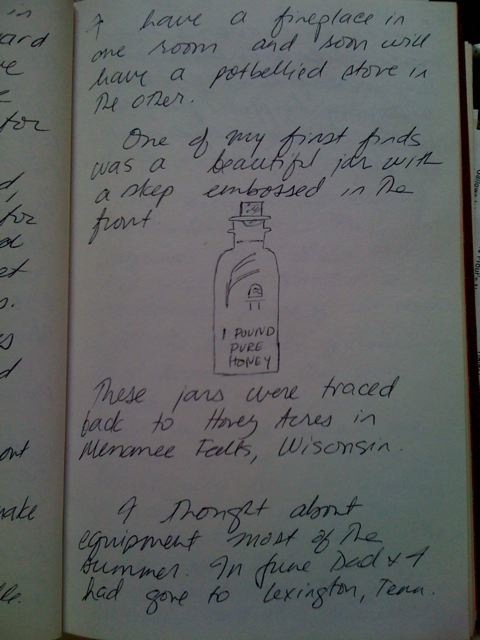 In the 1970s, Mom scattered about one hundred hives across backyards and pastures around Memphis. She did a lot of business by mail order with packages like these. The label was drawn by her friend Cecil Humphreys, a bronze sculptor. 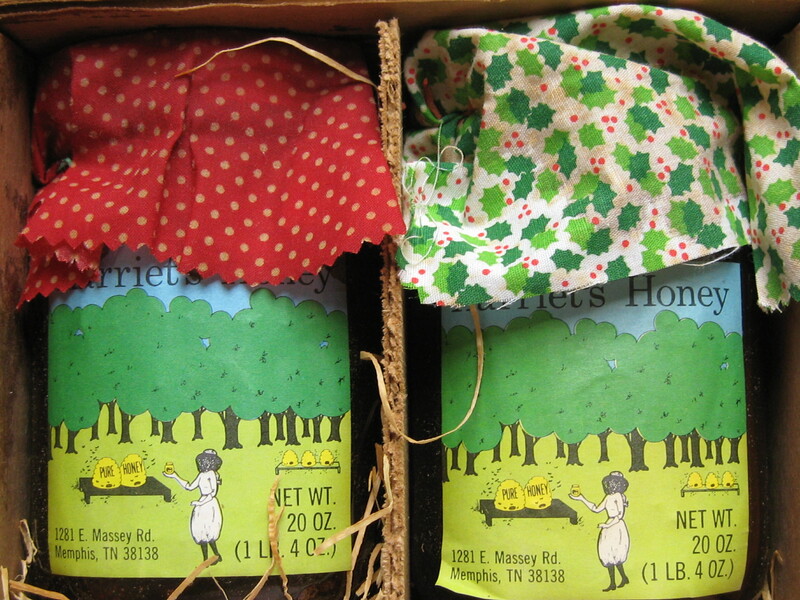 Cecil’s depiction of Mom was the inspiration for my HiHat Honey labels… which are coming soon in the next post.